Dr. Dabber have taken their popular Boost and made it even better. The new Boost Black Edition comes with 3 nails which are 50% larger than on the original Boost which means you can do some massive dabs and create huge clouds! 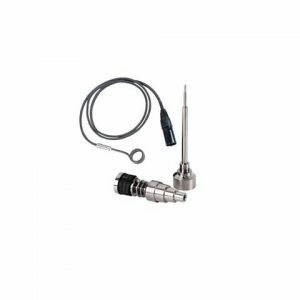 The Dr. Dabber Boost Vaporizer is designed to reproduce the performance of tabletop vaporizer models. 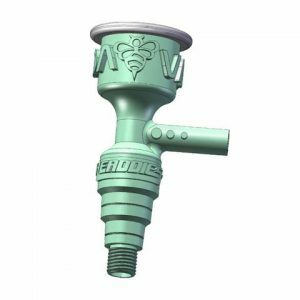 Its system with use of water accessory maximizes the flavor and density of the steam. The heating chamber is located at the tip and can be either titanium or ceramic. The titanium tip can reach 260 C by pressing the button 3 times in a row. The ceramic tip can reach up to 315 C by pressing the button 5 times in a row.During steaming sessions, always use the base to support your Dr. Dabber Boost. It was designed to better balance your device and avoid any damage to the glass accessory. And also, always use the tool to handle the essence, to avoid burns when supplying the essence. 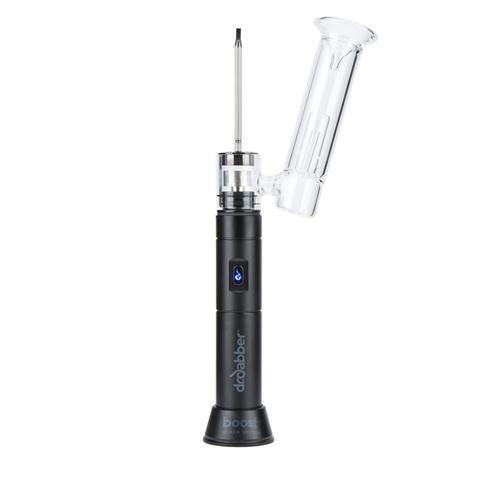 The Dr. Dabber Boost vaporizer system has only one button with a blue LED light, which makes it a very easy to use device.And use it as follows: put water in the glass accessory, push the button 3 times when using the titanium tip (5 times for the ceramic tip), when the light turns blue put the essence using the appropriate tool. 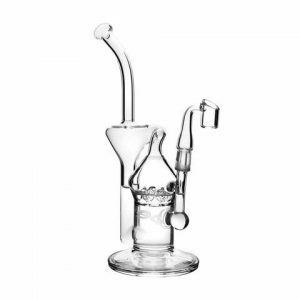 Included is a magnetic stand which holds the unit perfectly upright when in use to prevent stressing the glass. Everything comes presented in a protective hinged casing lined with dimpled foam.